Who doesn't love a Marshal killmail? 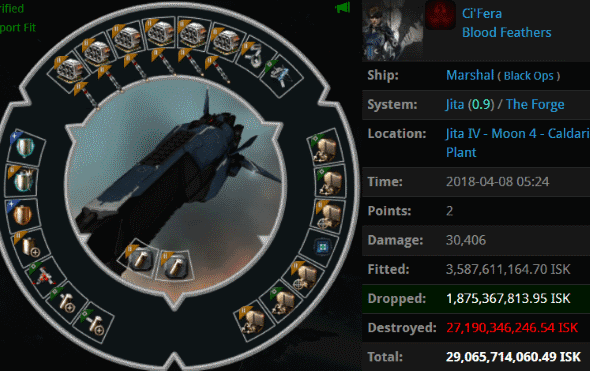 Ci'Fera got himself blapped to the tune of 29 billion isk when he undocked from Jita 4-4. As we know from the Code, Marshals require permits, and Ci'Fera didn't have one. Operating on pure instinct, Agents patyooki, Daniel Chanline, brainlet, erobb, James BIG BONED, PogChampion, Shy Elf Trap, trumblr ptsd immediately attacked the Marshal with their Tornadoes. That's a shame. But I'd only have sympathy for C'Fera if I could believe for one second that he cared more about the dog. A 25.9 billion isk Marshal was also killed this week, but we'll have more to say about that later. Banshee Blaze tried tanking up her Mackinaw--but only to a point. She couldn't resist yield and bling. Therefore, she fell short of the Code's requirements, and Agents Ilithyia Borgia, Mal Warre, and Sigrid Freud had little choice but to kill her and take a bunch of her stuff. It was a bad week for blingy Macks. 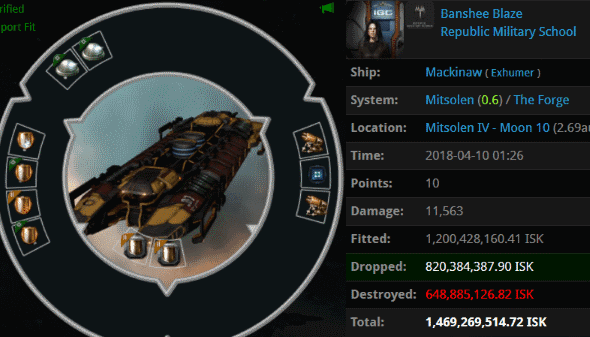 A 1.2 billion isk Mackinaw was also ganked--while carrying an Orca blueprint of all things. Derek Bellamy had 5.7 billion isk worth of cargo to move, so naturally he chose to do move it with an unfit Badger. Agents brainlet and Daniel Chanline had no trouble piercing the hauler's tank (or lack thereof). And it's too bad irony doesn't appear on killmails, because this Badger would've been worth plenty of irony points: The ship's expensive cargo consisted of tank modules. 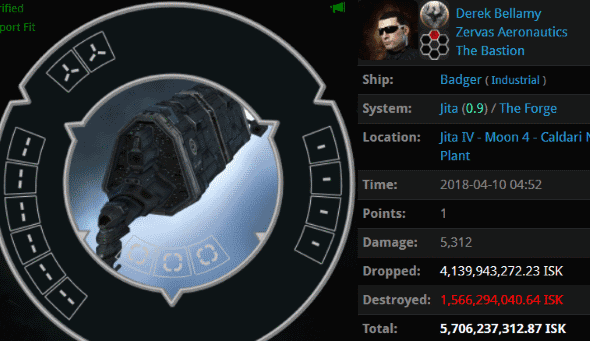 Jita was hit hard this week, and the jump freighters didn't get a break from it. 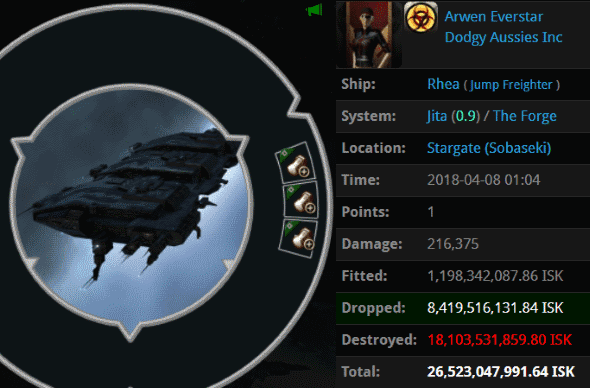 Arwen Everstar's ORE-fit Rhea blandly stumbled through Jita, only to run into a bunch of heavy hitters from the mighty CODE. alliance: Agents Tax Collector AynRand, Tax Collector Larry, Tax Collector Stroheim, Pod Destroyer Molly, Tax Collector Max, Tax Collector KarlMarx, Tax Collector Richard, Taxman Daniel, Tax Collector Hill, Tax Collector Aruka, Tax Collector HongMei, Tax Collector BokChoy, Tax Collector Alison, Tax Collector Shardani, Tax Collector Yuna, Tax Collector Kimi, Tax Collector Buck, Tax Collector Kittens, Tax Collector Fuemi, brainlet, Australian Excellence, Trump The King, Dr Hattrick, and Kill The Innocents. Unfortunately for Arwen, she was AFK at the time. I'm sure she would've been impressed by the sight of the gank fleet otherwise. Remember when EVE's marketing team had that whole "Butterly Effect" campaign? 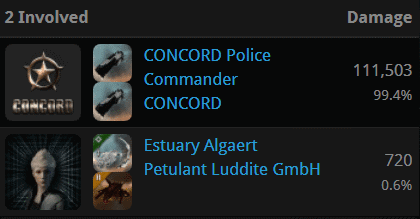 The people on that marketing team probably don't work for CCP anymore, but thanks to our Agents, the butterfly effect is alive and well in EVE. Lovelyhall Harkonnen's 28 million isk Retriever was spotted mining alongside an Orca alt. The Retriever was ganked by Agent Malbona Pomon, who was pleasantly surprised by the Retriever's 1.2 billion isk pod. 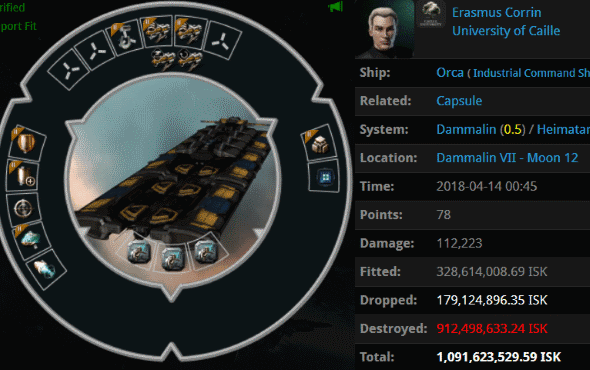 Sadly, our Agents didn't have the firepower needed to dispose of the Orca alt. Or did they? When Erasmus Corrin saw his alt getting ganked, he activated his contingency plan: A burst jammer. 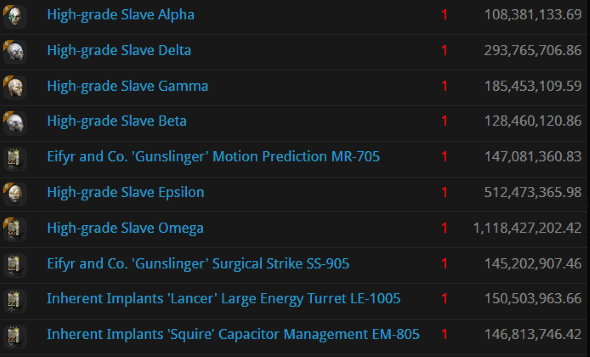 This is why burst jammers aren't very useful in highsec. Solettin threw caution to the wind, sending her 6.9 billion isk Obelisk to its death in the notorious ganker haven of Niarja. Agent Sasha Cohenberg was standing by to remove the freighter's pod. 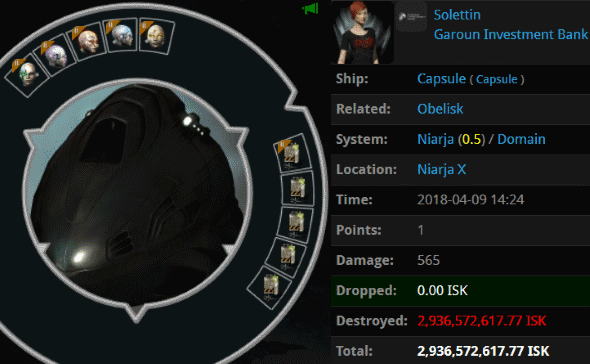 Another 2.9 billion isk down the drain for Solettin. Personally, I'd say a freighter pilot could do without implants like these. Now Solettin has a chance to test my theory. wow. just wow. antiganking failing to stop jump freighters dying in a 0.9 system, and they still try and fail hard to stop gankers in a 0.5. WOW they are idiots. ^^ Top quality ag idiots being idiots. Greed, impatience, laziness, carelessness. The carebear, shaken up, turned inside out, and hung out for all to see by our very own Saviour: James 315. Thanks James, for all the work you do in entertaining us and holding together this den of disparate desperados! I would like to play the world's smallest violin for Ci'Fera. RIP Fido and Marshal.